Many students are still struggling with essay writing. They spend hours and days to write, only to realize at the end that what they have been writing is absolute nonsense. Essay writing skills are skills that anyone can develop. Once your writing skills improve, you can be able to draft captivating essays that people will love to read continuously. So learn the few steps to improve your essay writing skills immediately. Learn how to use basic grammar in your writing, so readers can understand the message you are trying to convey with ease. Know when to use periods, and avoid spelling mistakes. Make your writing simple. And avoid transition words that will not add anything meaningful. Wordiness is also another mistake you can learn to avoid as you continue to improve your writing skills. Proofread manually and use paid software if you have the resources. 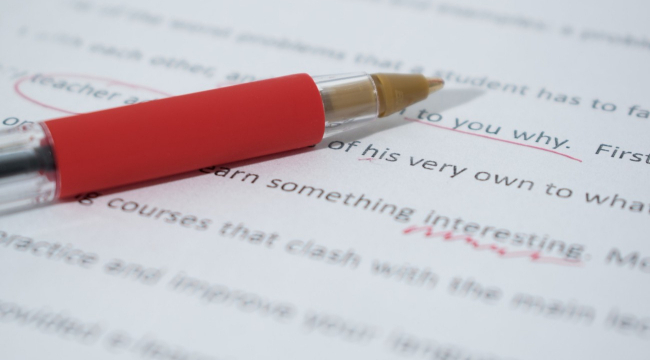 Online proofreading software such as Grammarly, offers several helpful suggestions including grammar, and spelling corrections, which will help to enhance the readability of the essay. You will also be able to avoid errors corrected by the software when writing. Learn to write using more of active voices than passive voices. Active voice will make your essay much easier to read and understand. It will also be more engaging. Keen readers are likely going to be good writers. So read like there’s no tomorrow if you are looking to improve your essay writing skills. You can read blog posts and other contents you find online, but dwell more on scholarly articles and materials that are more challenging. Study the word choice, structure and outline when reading. Even though you are the “write your essay for you” kind of student, you can still learn from the essay provided by another writer. Find out the unique thing that makes the paper more interesting to read, so you can improve yours using the same. Get a partner who is also looking to improve in essay writing like you. Even if he can write better, you can still benefit from him. Allow your writing partner or anyone to read through your work after writing. Be open to criticism, and work on suggestion they may offer to you. You can’t improve without constant practice. Ask athletes and those you know that are learning any musical instrument. They understand the term practice makes perfect, and apply it. Write constantly, even if what you are writing does not make sense. If the targeted word count is a thousand words, you can write more than that and trim it down to your targeted word count when editing. Always prepare an outline before you start writing. It includes the introduction, body, and conclusion. The conclusion is the summary of the entire point, so make it interesting to read. You can improve your writing immediately if you have a mentor. Get in touch with experts from my essay writing to find someone whom you can take as a mentor. The benefits of finding a professional writer are endless. You will not only copy their writing style but have the opportunity to ask any question regarding essay writing. Two things happen when you proofread your paper; your writing skills and quality of the paper improves. That is why you should take proofreading seriously. However, editing can be time-consuming and tough. You might even spend hours on a two-page essay. But it doesn’t matter considering the benefits it will bring to you as a writer. Even if you are the author, you have to be tough when editing. If any paragraph doesn’t make sense, then take it down. Favor manual editing even if you are making use of paid software. It will make your writing skills to improve from time to time. Even though many know that they have to write more often to improve, the motivation might not be there to write. If you find yourself in this kind of situation, the best thing is to start with topics that are interesting to you. Consider starting with shorter essays and walk your way up. It will be easier for you to build motivation and proofread faster. They are tons of essay writers online that can help to edit your paper. The final work they provide can help you make some adjustment to your writing. You can compare the original and edited copy once you get such help to know the contribution made by the editor. You can develop your essay writing skills with these tips. You also need to discipline yourself and take it seriously. Learning can be tough, but you will become a great writer if you remain persistent. Know that most of the essay writers that have now become experts began their journey this way.